للمسافرين الذين يرغبون أن يعيشو كل ما تقدمه أرميدال, Alluna Motel هو الخيار الأمثل. يمكن من هنا للضيوف الاستمتاع بسهولة الوصول إلى كل ما تقدمه هذه المدينة النابضة بالحياة. يشكل هذا الفندق ملاذاَ مريحاً للاسترخاء ويمنح زواره فرصة للاستجمام والتجدد، وهو يقع على بعد خطوات من المعالم السياحية الكثيرة للمدينة كمثل: Saints Mary and Joseph Catholic Cathedral, نيو انجلاند, ابورجينال سنتر. يعمل Alluna Motel على ضمان إقامة مريحة لضيوفه من خلال خدماته الممتازة وحسن ضيافته. يمكن لضيوف الفندق الاستمتاع بالميزات التالية على أرض الفندق: واي فاي مجاني في جميع الغرف, مرافق مخصصة لذوي الاحتياجات الخاصة, تخزين الأمتعة, صف السيارات, خدمة الغرف . ادخل إلى واحدة من الغرف 20 وتخلص من عناء نهار طويل بمساعدة مجموعة كبيرة من الخدمات كمثل تلفزيون بشاشة مسطحة, اتصال لاسلكي بالإنترنت, مكيف هواء, تدفئة, مكتب الموجودة في بعض الغرف. إن حمام سباحة خارجي, مسبح (للأطفال), حديقة هو المكان الأمثل في الفندق للاسترخاء وتفريغ طاقتك بعد نهار طويل. مهما كانت أسبابك لزيارة أرميدال، فإن Alluna Motel هو الخيار الأفضل لإقامة مثيرة وممتعة. 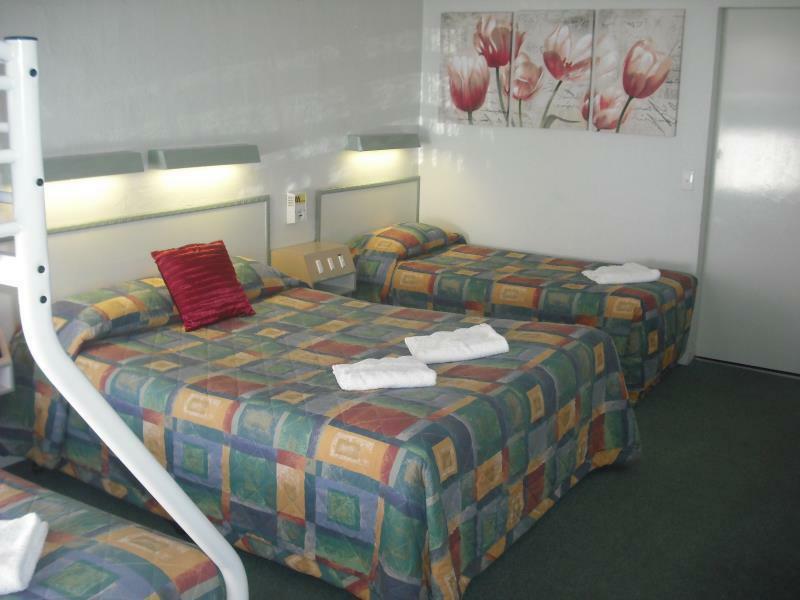 Excellent Room but bed and furniture are more tired than the traveller. Clean, neat, tidy. Excellent communication and customer service. Friendly and great value for money! 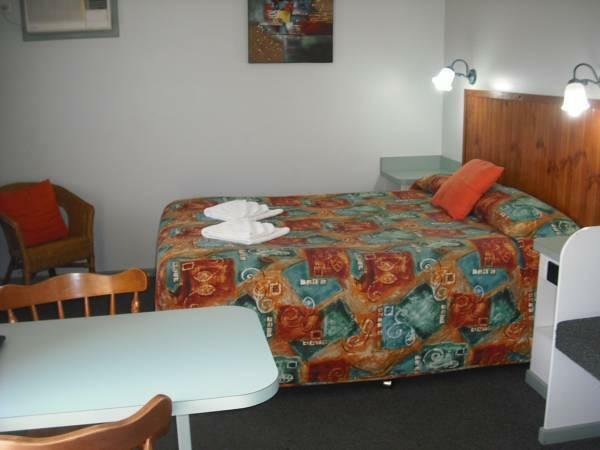 I enjoyed staying at this motel, room was clean and comfortable. Staff were friendly. Only negative was no microwave in the room. Friendly staff, nice location, very comfortable. 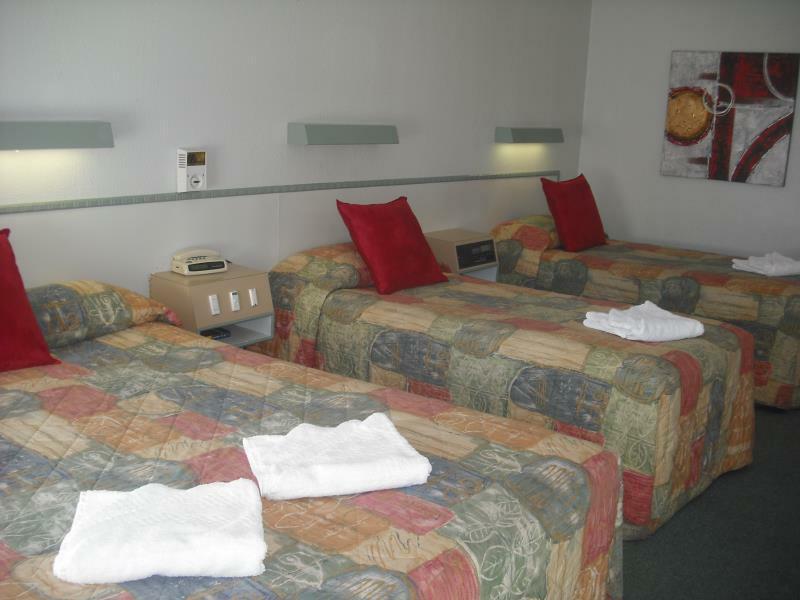 Very comfortable stay, electric blanket, reverse cycle air conditioning. Very quiet and safe with parking outside room for easy access. Very helpful staff, even when we arrived after reception had closed, they were still there and helped us. Good for a stop over quick visit. Very friendly, helpful managers/staff... Happily recommended the best local pizza shop for dinner with the kids, and next day when I realised I'd left something behind in the room they kindly arranged to courier it back to me. Great service with a smile! 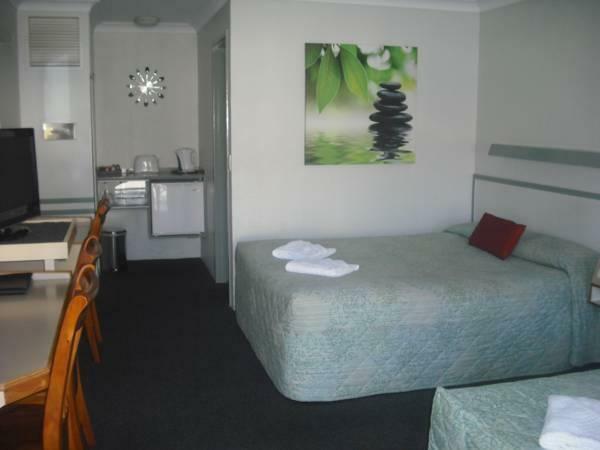 The room was clean, well presented and comfortable, and the kids loved playing in the pool after a hot day of driving. I'll be going back when next passing through town. They allowed early check in to get ready for a function we were attending. Clean room with practical layout. Owner very down to earth & friendly. 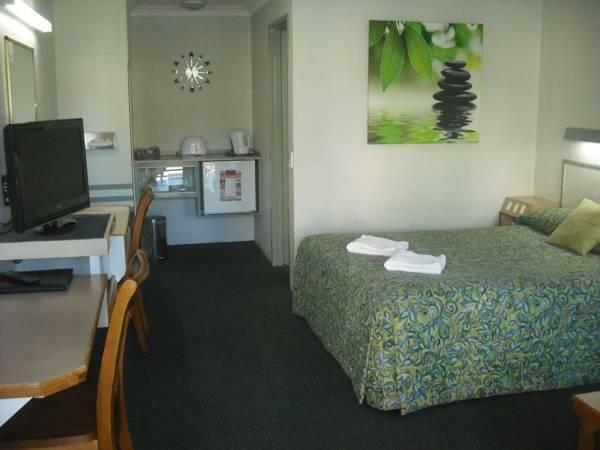 Located a convenient 5 min walk to town centre (Nth), art museum (Sth). Less to old churches & Central Park. This is a return visit for us. This room as with the last is a very tidy, older style room, with some modernising here and there. Good size for 4 people, we didn't feel at all cramped. Beds are on the firm size as were the pillows. Toiletries and tea/coffee all supplied. Nice soft towels and hot shower. The place was fully booked on our stay. We will continue to stay here when visiting the area. 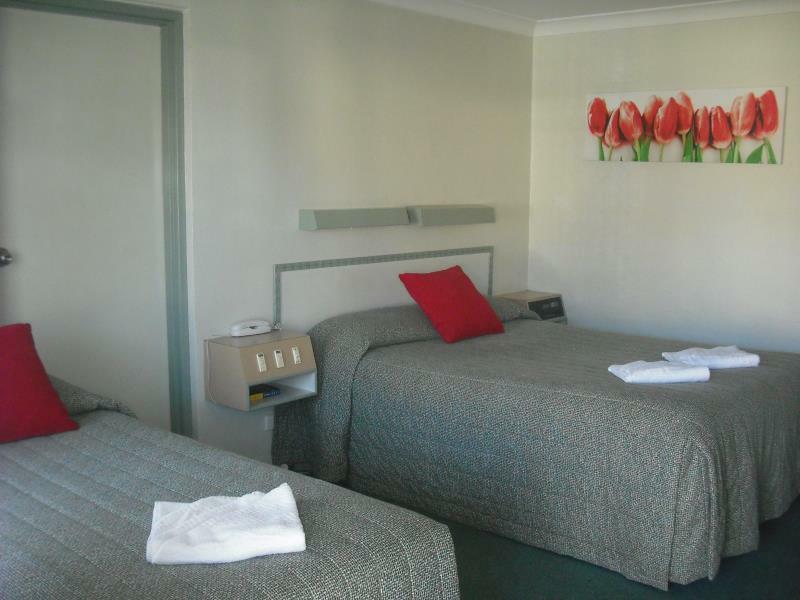 The biggest plus abput the hotel is its location with it not being too far from Armidale town. 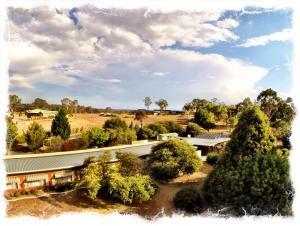 .well connected from the Highway..Biggest downside is the quality of bedding and the noise outside the rooms.. The beds creaked throughout the night plus travelers were checking out as early as 3 am which resulted in a disturbed sleep... won't stay there again as there are better accommodation options available. ..
As always, very comfortable, friendly and easy.